Ken Valka is a Senior Counsel at the Temple office of the law firm of Baird, Crews, Schiller & Whitaker, P.C., representing individuals as well as businesses of all sizes. He was formerly the managing partner of the Houston office of the international firm of Baker/Hostetler, prior to relocating with his family in Central Texas in 2002. 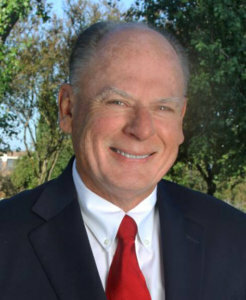 His practice has included all types of civil litigation in state and federal courts in matters concerning contract disputes, negligence, breach of fiduciary duty, probate, including trusts and will contests, guardianships, real estate, employment law, intellectual property, deceptive trade practice, fraud, insurance, landlord-tenant, construction, trade secrets, utility districts, and warranties and indemnity. Ken has been and is rated A-V Preeminent by Martindale-Hubbell for over 20 years. Obtained Summary Judgment in Will Contest of estate with ranch, cattle, shopping centers, land, worth over $40 million where issue was ambiguity and Rules of Construction in language of will. Pursuit of Corporate officer taking trade secrets of national company where matter was settled after extensive discovery by permanent injunction at mediation. Resolved family dispute regarding four businesses, resulting in third-party leasing worth over $32 million and payments to all family members. Successfully obtained partition of family 1800-acre ranch among family members. Resolved Contested Guardianship of Mother of family, where clients were named Guardian of Person and Estate. Successfully resolved Will Contest where issue was competency of Testator, and where clients received benefits of death-bed hand-written will. Probate where Surviving Spouse willed ranch sold and foundation created for local school. Successfully defended Surviving Spouse in suit by Daughter for premature termination of Testamentary Trusts, where assets exceeded $12 million, including homestead ranch, oil and gas, and cattle operations. Successfully resolved boundary line dispute between land owners of adjoining ranch property. Successfully settled by mediation dispute between shareholders of dissolved corporation regarding rights to proceeds from sale of business for approximately $15 million. Resolved dispute between Mother as Living Trust Trustee and children as contingent beneficiaries regarding alleged breach of fiduciary duties and distribution of Trust assets. Licensed to practice in Texas by the Texas Supreme Court, before the Northern, Southern, Eastern and Western Federal District Courts, and the Fifth Circuit Court of Appeals.